For countless millennia the great civilizations of the prior worlds ruled this Earth. They built cities and machines of unimaginable grandeur and scale. They reshaped the very earth, and cast away from it to the planets, the stars, and even realms outside our reality. Their works were beyond number and beyond wonder. But now they are gone. 416-page corebook with poster map supplements Numenera Discovery and defines a whole new way to play. Elegant rules for long-term campaign play centered on building and growing Ninth World communities, along with salvaging, crafting, vehicles, structures, and other devices. 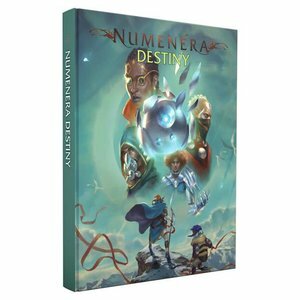 Exciting new character types options, creatures, equipment, and even four complete adventures all build around the Numenera Destiny theme. Creatures, cyphers, and artifacts that build on Numenera Destiny’s theme. 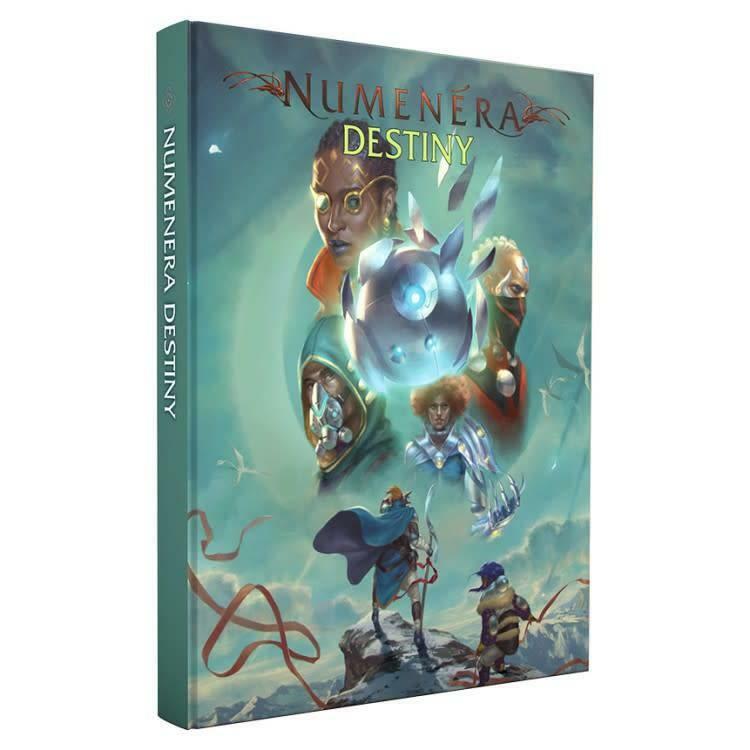 All existing Numenera supplements remain compatible with the new corebooks.